Size: * 4.5 lb. 12 lb. 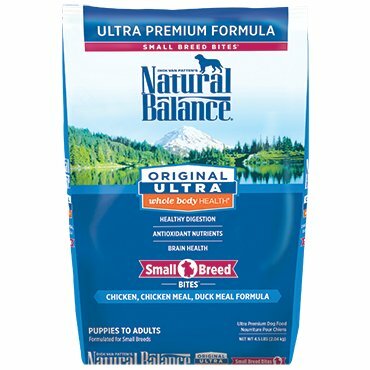 Original Ultra® Whole Body Health® Chicken, Chicken Meal, Duck Meal Small Breed Bites® Dry Dog Formula nourishes your small-breed dog’s complete well-being by taking an entire body approach. Formulated for all life stages from growing puppies to ever-energetic adult dogs, this diet offers an optimal balance of premium proteins and key nutrients—with no artificial flavors or colors.